Alliance College-Ready Public Schools (Alliance) opened its first high school in 2004 with a defined goal: to prepare under-served students in the Los Angeles area for success in college and future careers. Since launching its first school, Alliance has opened 20 schools serving 8,500 students, 95% of which come from low income families. LIIF provided a $5.7 million allocation of New Markets Tax Credits and an additional $2.2 million bond purchase to support Alliance’s acquisition and construction of a permanent school facility in Los Angeles. 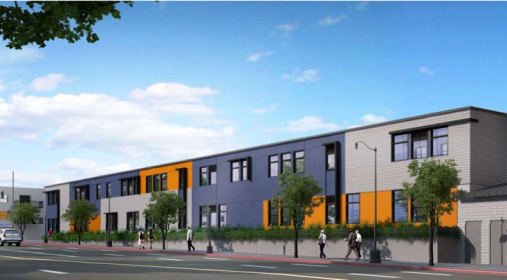 Located in the Lincoln Heights neighborhood, the new 50,000-square-foot campus expanded the existing middle school and allowed Alliance to open a new high school. The facility currently serves over 400 students and will accommodate over 1,000 students in grades 6-12 at full capacity. The new high school will use Alliance’s pioneering BLAST model (Blended Learning for Alliance School Transformation), a teaching model that incorporates traditional classroom time with online learning to enhance the educational experience for each student. The investment in the new Alliance campus has created and preserved a total of 75 permanent jobs and employed 70 construction workers.